Acorelle Organic Wax Face and Sensitive Zones "Cire Royale" is the 1st 100% natural and organic certified wax used without strips. Its formula based on natural pine resin guarantees an efficiency on short hairs and professional results up to 4 weeks. Its exclusive formulation is ideal for a gentle hair removal. It contains softening organic bees wax and soothing and protecting organic white lily extract. 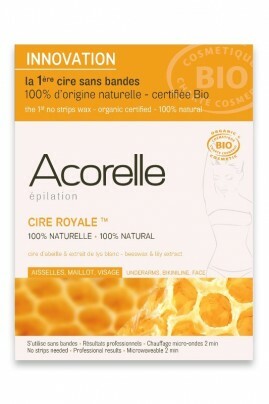 Perfect for a complete hair removal of sensitive zones of the face, armpits and bikini line, Acorelle Organic Wax Face and Sensitive Zones "Cire Royale" is ready after only 2 minutes in the microwave, glides on easily and evenly, and is removed without strips. - Warm the wax in the microwave only : place the jar in a plate and respect the recommended timing in the instructions leaflet, depending your device power and the quantity in the jar. - After warming, wait for 1 minute in the microwave turned off, for a good warmth spreading in the wax. Remove the jar cautiously without bending it. - Stir the wax with the spatula for 1 minute, then check the temperature using your inner wrist. If the wax is too hot, wait for it to cool down before checking again. - Using the tip of the spatula, take a small amount of wax and twist to get it all. - Put the wax on the top of the zone to remove, then quickly glide a strip that is thinner on the center and thicker on the edges, towards hair growth direction, which makes the removal easier. Let it dry until it doesn't stick anymore. - Hold the skin at the bottom of the strip with one hand, then with the other hand, lift and remove swiftly the strip, towards the opposite hair growth direction. 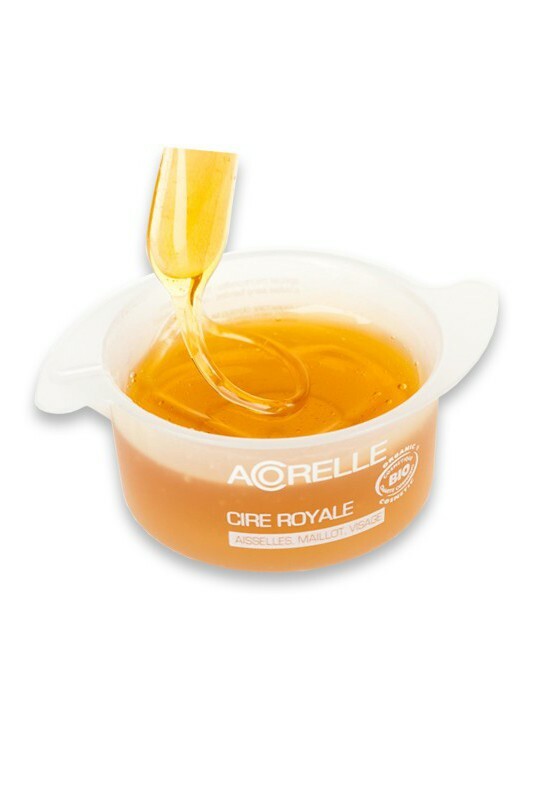 To eliminate wax residues on your skin, reapply immediately the strip used before, or wait for them to be dry then remove with nails or using a cotton soaked with Acorelle Organic Soothing Oil. Redness may appear but they will disappear quickly after applying the Soothing skincare oil.